Swords, Staffs, Spears, and more.. Traditional Weapons are available for purchase. We only carry training quality weapons and are much sturdier than weapons only intended for display. None of our blades have a live edge for safety reasons. Weapons are only available for purchase for ages 18 and up or by a parent. Kung Fu Training Tinctures and Liniments. We carry a line of traditional Kung Fu medicines to enhance training. These include Tinctures for longevity, speedy recovery, and hard training as well as a variety of Dit Da Jow for Iron Body Training. Tiger Balm, Herbal Ice, Dit Da Jow, Burn Cream, Immune System Boosters, Arthritis ease, Sore muscles, and others to aid in speedy recovery are available. 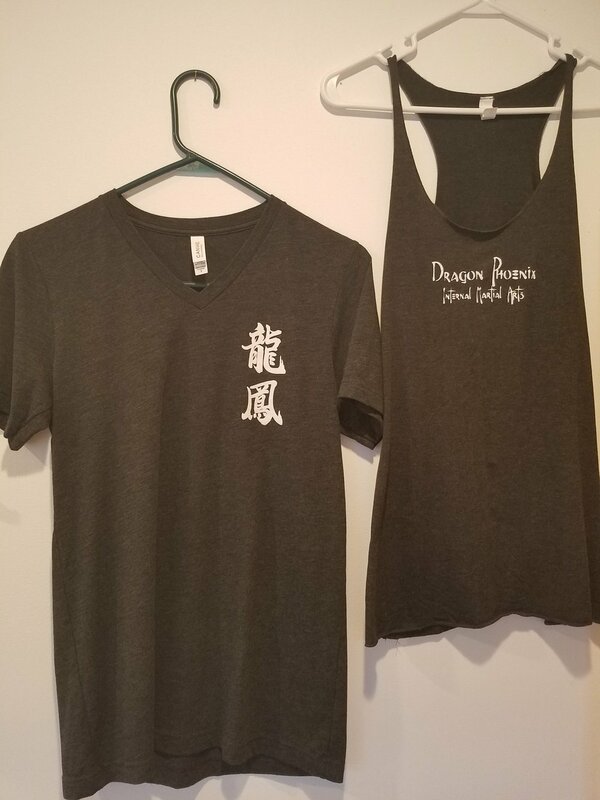 Kung Fu pants, Uniform shirts, and soft Athletic shirts.